Its long tentacles can reach out in any direction, grasping its prey in an inescapable vice-like grip. It can be found in all of the world’s oceans, is highly intelligent and has a varied arsenal of survival strategies that include a diverse palate, deft abilities to move quickly and quietly, use camouflage, and hide. The Octopus is also occasionally used to symbolize power and dominance. We have prefaced this week’s commentary, highlighting the typically overlooked yet noble Octopus, because this is how we visualize China today. A centrally organized entity with its tentacles stretching out all over the globe, methodically attaching itself to and consuming what it needs to grow. An Octopus has 8 tentacles and coincidently, the number 8 is highly revered in China. It’s considered lucky and associated with prosperity and good fortune. The number 8 is taken so seriously that many international airlines number their flights, to and from China, using numbers that only contain 8’s and the 2008 summer Olympics began on August 8, 2008 at 8 minutes and 8 seconds after 8pm. The China phenomenon continues to transform the global economic and geopolitical landscape in every conceivable way. From its economic rebirth, beginning in the late 1970s, when the country made its first awkward steps towards market liberalization, it has grown into a thriving trade juggernaut. Because of China’s massive global footprint, it is impossible for them to simply trade without also having to navigate major geopolitical and monetary challenges. Therefore, her tentacles must reach beyond simple trade and into the more complex worlds of foreign relations, monetary systems, and military development. As a result China’s tentacles are extending in all of these directions. We start with our favorite topic…gold. As we discussed in a prior commentary, “China to Rebuild Great Wall with Gold”, China made the development of the country’s gold market a strategic priority in 2000 as part of the governments 10th 5 year plan. And it’s been part of each subsequent 5 year plan, including the current 12th plan announced in 2011. And since 2000, China has become the world’s largest gold producer by far, and is expected to produce an estimated record 440 tonnes in 2013. They have also become the world’s largest consumer, surpassing India, and putting enormous pressure on global mined supply. If there had not been massive dishoarding from bullion and central bank reserves and Western ETF’s earlier this year, mined supply alone would have been woefully insufficient to meet year-to-date global demand, led by China. It’s no secret, China is serious about gold. In a recent statement by the China Gold Association, the oversight body that implements government policy with respect to gold, its significance is clearly outlined. For a variety of reasons, China has become increasingly unhappy with U.S. monetary policy (i.e. QE-Infinity) and the U.S. dollar’s status as the world’s reserve currency. This is in part because U.S. money printing is devaluing the dollar and thus devaluing China’s $1.27 trillion holding of U.S. treasuries and other U.S. dollar denominated debt. It is also because China, along with every other country in the world, is forced to buy dollars in order to buy the natural resources they need. This is because the world’s commodities are typically priced in dollars and therefore countries must sell their own currency, or other currency holdings, to buy dollars to acquire needed resources. The global discussion has begun to escalate since the recent spectacle of political dysfunction over the debt ceiling and government shutdown. This has strengthened the impression that the U.S. is an irresponsible steward of fiscal and monetary matters, which is not deemed acceptable for a country that dispenses the world’s reserve currency. On the practical front, they are making their displeasure known by a series of moves, which include the development of their gold market, as outlined above, and a strong push to expand the use of the Renminbi on the back of their massive trade footprint around the world. First and foremost, these steps have taken the form of extending currency swap agreements to important financial centers and trading partners. These swap agreements allow countries that have significant trade with China to settle their transactions in Renminbi instead of U.S. dollars. In our News Corner, we have covered several recent currency moves that China has made. For example, on October 10th the People’s Bank of China signed their second-largest currency swap agreement with the European Central Bank. 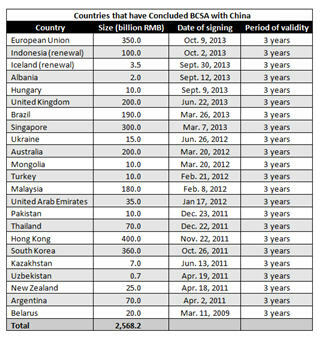 The swap is valid for three-years and has a maximum size of US$60.8 billion. For reference, China’s largest swap deal with a foreign central bank is with South Korea. 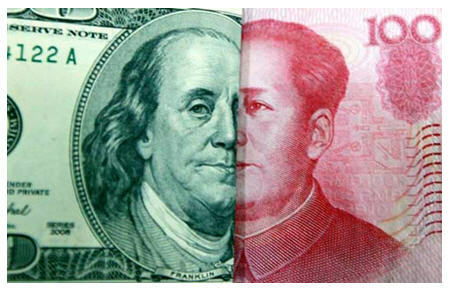 The swap line agreement is for 360 billion Renminbi (US$ 62.3 billion). In total, China has roughly 2.6 trillion Renminbi (US$422 billion) in swap agreements with most of the world’s leading central banks. This is all a fairly recent development! An additional step has been to enter agreements allowing the world’s most important financial hubs access to Chinese investments and securities. This provides large-scale alternative Renminbi denominated investment choices to major holders of capital, like banks, trading house, institutions, funds, and governments. As an example, earlier this month the Industrial and Commercial Bank of China announced that they would be offering US$13.1 billion of Mainland stocks, bonds, and money market instruments to London investors. A similar deal has recently been struck with Singapore, one of Asia’s leading financial centers. The bottom line is that China is working to aggressively provide alternatives to the U.S. dollar for itself and its trading partners. With roughly 1.4 billion people, 160+ cities with over 1 million people and a land mass of 9.7 million square kilometers (3.8 million sq. miles), as a country, China is uniquely large. Adding to this picture, it is in the midst of historic levels of urbanization, industrialization, manufacturing, modernization, globalization, wealth creation, and middle-class expansion. As a result, they need an enormous amount of energy to sustain the above effort. Thus it is not surprising that earlier this week China surpassed the U.S. to become the largest importer of oil in the world. To keep the engine going, they currently require 6.3 million barrels a day and their average annual rate of consumption has increased 6.9% each year for the past decade. Because China realizes their energy needs will only increase, they have set in motion the most ambitious nuclear program in the world. Currently, they have 17 reactors in operation and 30 reactors under construction, which is equivalent to 43% of those being built worldwide. Additionally, they have another 59 planned and 118 proposed. The uranium supply currently required to feed the beast is 6,711 tonnes. And with their expansion plans, it is expected to increase to 16,000 tonnes by 2020. 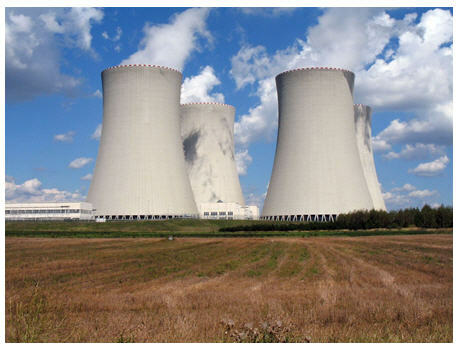 Although China does have some domestic uranium production, 1,500 tonnes, it is not nearly enough. Thus, in the future they will likely be the largest uranium importer in the world. China also leads the world in consumption of thermal coal for heating and is a major consumer of metallurgical coal, used to produce steel. Just like energy, China needs a very large amount of a wide variety of commodities to keep the machine running. At the moment, it accounts for 46% of global base metal demand; including metals like copper, aluminum, lead, nickel, and zinc. However, they are projected to account for 52%, more than the rest of the world combined, by 2017. China is also the world’s largest user of copper, consuming 42% of annual global production. Its consumption rose to a 19-month high in October, and for the 3rd quarter of this year, copper imports rose 21.4% from the previous quarter. It’s the same for steel. China uses more than the rest of the world combined. The antecedent of steel is iron ore, of which, China is the world’s largest buyer and recently set a new import record in September of 74.6 million tons. Rounding out our discussion of its commodity dominance is their world leading consumption of potash. Feeding 1.4 billion people requires a lot of food, which is why China consumes 29% of this critical world resource, for which there is no substitute. Although little know, potash is a strategic mineral indeed! From time-to-time, world superpowers like to flaunt their wealth. Or, said another way, buy internationally recognized trophy assets. Last week, Fosun International, China’s largest privately-owned conglomerate, purchased JP Morgan’s former headquarters, 1 Chase Manhattan Plaza, for what amounts to pocket change for the Chinese these days; a cool US$725 million. This is an interesting purchase because the building is home to the largest commercial gold vault in the world and is directly adjacent, and rumored to be connected, to the Federal Reserve’s New York vault. Another landmark acquisition was completed earlier this year when the Chinese insurance company, Ping An, purchased the iconic Lloyd’s of London tower. We know that most Westerners, even though they know better, have a hard time seeing China as anything other than a low-cost low-quality manufacturer of mass-produced cheap retail products. But that’s an outdated and inaccurate perception. 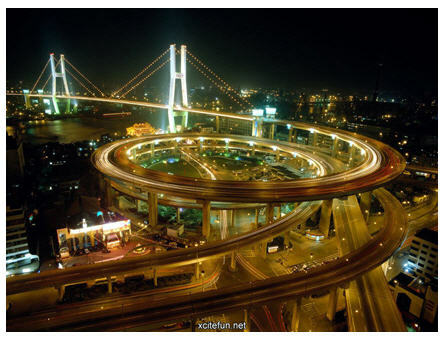 Today’s China builds skyscrapers, hydro-electric power plants, high-speed train networks, large-scale bridges, and nuclear power plants. They write sophisticated software and develop sophisticated electronics. They build ships, submarines, satellites, missiles, rockets and spacecraft. And they have an active and rapidly expanding space program. They are also the world’s foremost experts in mining and refining rare earth elements, which are critical for a wide variety of high-tech manufacturing, including defense industry technology. In case you didn’t already know, they also control 95% of the world’s rare earth element production. Therefore, we strongly encourage our readers to leave the stereotypes in the past and embrace the new reality of what China has become. It’s a first world country despite the West’s reluctance to grant it the title. As a result, China is exporting its expertise along with its manufacturing and investment capital to gain trade leverage around the world. As China’s dependence on global markets for natural resources grows, so does its need to have a viable means of protecting its most important trading hubs and trade routes. As a result, it has been using some of its wealth to build a navy capable of projecting the necessary power to achieve this goal. Over the past two years, we have begun to see these efforts manifest in various ways. The country launched its first aircraft carrier, the Liaoning, in August of 2011. Since that time it has been undergoing rigorous sea trials. Recently, they have been reporting successful flight operations (i.e. take-offs and landings) from the flight deck. In addition, pictures of a second aircraft carrier under construction in a Chinese shipyard have been making their rounds on the Internet lately. In mid-July a small Chinese fleet, including two destroyers, passed through the Soya straight between Russia (Sakhalin Islands) and Japan (Hokkaido) for the first time in modern history, within very close proximity to the Japanese shoreline. They were returning from joint naval exercises with Russia at the time. Although it drew very little public reaction, this is far more provocative than the recent spat between China and Japan over the small and largely uninhabited Sinkaku islands that are closer to China then Japan. Hokkaido, in contrast, is a large island of 5.5 million people and is almost adjacent to mainland Japan. Moving on, this month, China held joint naval exercises with Chile off the Chilean coast and two naval warships arrived in Rio de Janeiro on what was called a goodwill visit. In times past, the U.S. would have considered the presence of a foreign power in the Americas a provocative move, but both events passed without comment from the U.S. In closing, China has been quietly but aggressively building a large fleet of silent submarines to counter the traditional presence of U.S. carrier groups in Asian waters. It’s been awhile, but in 2007 the Chinese managed to embarrass the U.S. navy when an attack submarine surfaced within torpedo distance of the USS Kitty Hawk aircraft carrier during exercises in the Pacific. The encroachment occurred despite the presence of various U.S. ships, airplanes and submarines assigned to protect the carrier. In addition to the currency swap agreements outlined earlier, China has Free Trade Agreements (FTAs) with an ever-growing list of countries. There are 8 existing FTA’s with Pakistan, Peru, Chile, New Zealand, Singapore, Switzerland, Iceland, and Costa Rica. In addition, it has an FTA with the Association of South East Asian Nations (ASEAN), which has 10 primary member states, including Singapore, Thailand, the Philippines, Indonesia, Malaysia, Vietnam, Cambodia, Laos, Myanmar, and Brunei. President Obama cancelled his planned trip to the most recent ASEAN summit due to the government shutdown and debt ceiling controversy. This was not a trivial cancellation and has been viewed by many observers as a significant slight to the powerful economic block of emerging nations. On the other hand, China and Russia were in attendance. The Obama administration had previously initiated a policy shift, known as their “Asia Pivot”, to send signals of a strategic reengagement of Asia. However, observers have indicated that this latest move has undermined the credibility of the White House effort. John Kerry, U.S. Secretary of State, did ultimately arrive near the end of the conference. As an indication of the participant’s displeasure, he is shown in the group photo below, in the back row on the far right. In contrast, Vladimir Putin is front and center along with Chinese President Xi Jinping. China is also negotiating FTA’s with Australia, Norway, and the Gulf Cooperation Council (i.e. Saudi Arabia, Kuwait, Qatar, Oman, UAE, and Bahrain). In addition, FTA’s are under consideration with India, Korea and Japan. With every year that passes, China is further along in liberalizing trade with countries and trade blocs across the globe. This is not simply a want for China; it is a pressing need to make sure the country’s continued growth can be fed. A reserve currency is typically defined as one that is held in significant quantities by central banks and major financial institutions as part of their foreign exchange reserves and commonly used in international transactions involving trade and settlement of debts. A reserve currency is generally chosen based on the size, strength and stability of the underlying economy of the issuing nation and the confidence that the currency will maintain its value. However, when global economic reality changes, or as economic dominance shifts, so historically does the world’s reserve currency. In the 19th and 20th century, prior to Bretton Woods, the British pound sterling was the world’s reserve currency. This coincided with Britain’s status as an economic and military superpower, when the sun never set on the British Empire and a monetary gold standard reigned supreme. However, the U.S. gradually emerged from the U.K.’s shadow as an economic powerhouse in its own right. In the aftermath of World War II, the U.S. took over as the world’s new dominant superpower. In 1944, with the establishment of the Bretton Woods System, the U.S. dollar, linked to gold, formally replaced the pound sterling as the world’s reserve currency. Fast forward to the present, where U.S. world dominance has begun to wane while China’s influence grows steadily and relentlessly. A growing loss of confidence in the dollar, for reasons discussed earlier, is slowly but steadily placing the dollar’s reserve currency status is in jeopardy. Considering the steady creep of China across the global landscape, it seems to us that China is methodically building the infrastructure and relationships to encourage a generational reserve currency shift. Two songs come to mind to frame this situation. We couldn’t decide which one was better so we included both recommendations for you to enjoy as you reflect upon our discussion today. We see dramatic changes ahead and you can either choose to embrace it, understand it, adapt to it, and then position yourself to profit…or not. You can choose to place your hard-earned investment capital in the path of many of the emergent themes discussed above…or not. You know where we’re focused. As we write the gold price is showing strength at $1,348. As a result the gold miners in our Model Portfolio, available to paid subscribers, are up between 4% and 38% since gold’s most recent bottom at $1,273. This upturn is early yet and therefore, we think shrewd investors would be well advised to accumulate the shares of the stronger gold miners now. The shares showed very strong leverage to the gold price in gold’s climb from $1,200 on June 27th to its peak at $1,417 on August 28th. 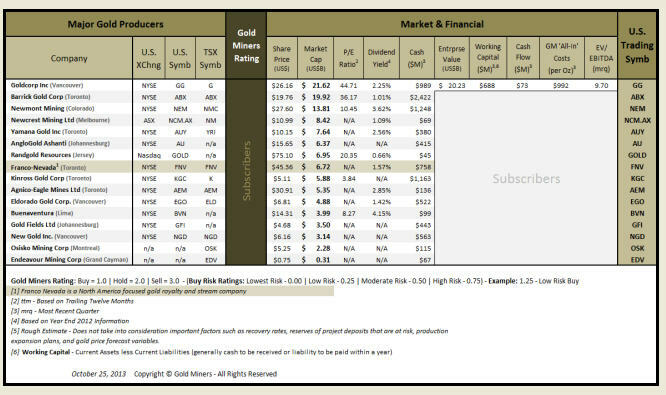 With that said, please find our abbreviated Gold Miners Comparative Analysis Table below, which provides many important metrics critical to evaluating and comparing gold mining companies. Its purpose is to help discerning investors separate the wheat from the chaff.